Kevin Ritchie has been one of the three local councillors for Bramley & Stanningley ward since he was first elected in May 2014. He sees his role primarily as helping people solve problems with council services. Typically that may include environmental issues such as flytipping, or improving the state of parks; making sure pavements and footpaths are accessible; housing, or developing activities for children and young people. He sums up his approach as “My constituent’s problem is my problem”. 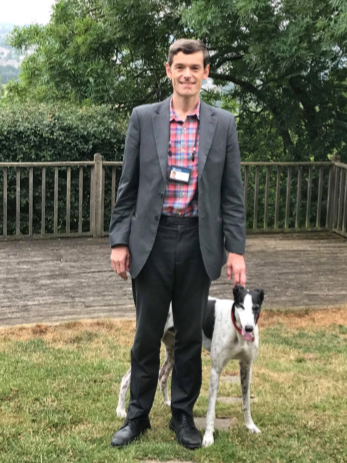 Kevin takes on his ‘casework’ with local people who contact him by phone, email, or at his regular surgeries or just when he’s out and about walking his dog. He can then report an issue, often at a senior level within the council. Problems are often caused by a ‘system failure’, so Kevin will try to get things changed in a wider sense than just solving the immediate problem. Locally Kevin takes part in the Bramley Forum, tenants and residents association meetings, and ‘Our Place Initiative’ focussing on the Broadleas and Fairfield estates, and is Community Safety Champion. Like other councillors Kevin is also involved in Leeds-wide work: he is currently Chair of the Corporate Governance & Audit Board (which gives him another route to raise important issues); on the Planning Panel, and is a Champion for Disability, and takes part in full council meetings every 6 weeks. Kevin enjoys meeting and engaging with people. He gets a real buzz from getting things done for people. He much prefers to be out and about in the community, talking with people and resolving issues, than spending time in long meetings at Civic Hall! Many issues boil down to a lack of money for investment. 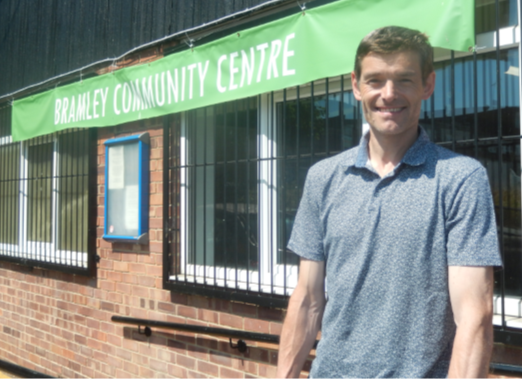 Kevin always seeks to ensure that resources stay in Bramley, and are increased, which is often quite challenging. Kevin is always keen to get information from people in the local community about what’s happening, where the problems are, and what could be changed. That’s what helps build a positive case in the council. At least 50% of Kevin’s cases are with older people. It’s particularly important to Kevin to make sure that council services are meeting the needs of an ageing population, and that the huge contribution of older people, especially volunteers and carers, is recognized. Many of the issues that Kevin takes up, such as increasing the number of dropped kerbs and making footpaths more accessible, are of direct benefit to older people. He is also very conscious of how important a chat of 10-15 minutes can be for someone who is socially isolated. He regularly refers people to Bramley Elderly Action. Kevin would like older people to be able to take part in everything that the area has to offer. Kevin was born at St Mary’s Hospital and has lived in Bramley all his life, apart from four years in Armley. He qualified as a chemist at Leeds Beckett and has always worked in West Leeds: as a lab technician, industrial chemist and in quality control, where he learnt to develop conclusion based on evidence. He has also done voluntary work, supporting refugees, with PAFRAS and the British Red Cross, for whom he still does some fundraising. Kevin spends his spare time walking his dog, Bart, which is when he also talks with a lot of local people. He’s a big Farsley Celtic fan and watches Yorkshire and local parks cricket. See Your representatives for details of all your local councillors.